"Roxy is a bit of a crazy dog. He still chews his bedding and chases crows flying over the garden. He is begining to show signs of old age and I know when he is gone we will be heartbroken, despite the giving out I do about him." It was great to have such a great description about his personality when drawing this pet portrait. I could really make up an image of him in my mind and it helped so much when drawing out his features and the twinkle in his eyes. 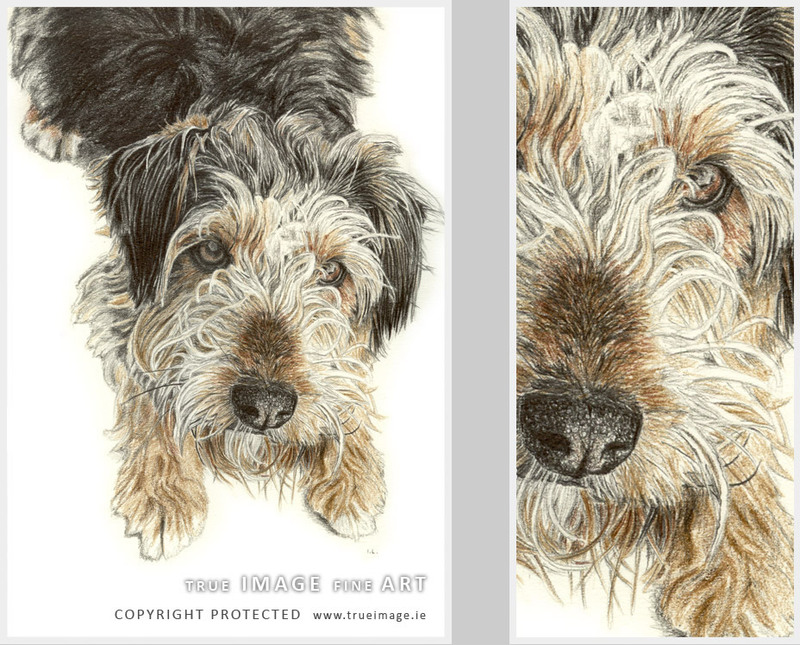 The client was worried about loosing Roxy's colouring in a pencil drawing so we have agreed to add some coloured pencil for his brown and tan fur and his georgeous eyes. 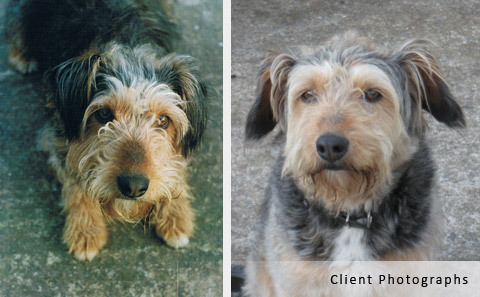 The client had two good photographs of Roxy. She chose the one where Roxy is looking up at the camera. It was very helpful to have the other image too as his fur appears much lighter here and I could create a better likeness. I just love the reference photograph and Roxy's portrait was such a joy to work on. "Hi Ivana, I love it!!! You have really captured Roxy in this drawing!! The family will be thrilled when they see it on Christmas Day. Thanks a million."